Lucasfilm has issued some wonderful cards over the years, many of which featured specially-commissioned artwork. 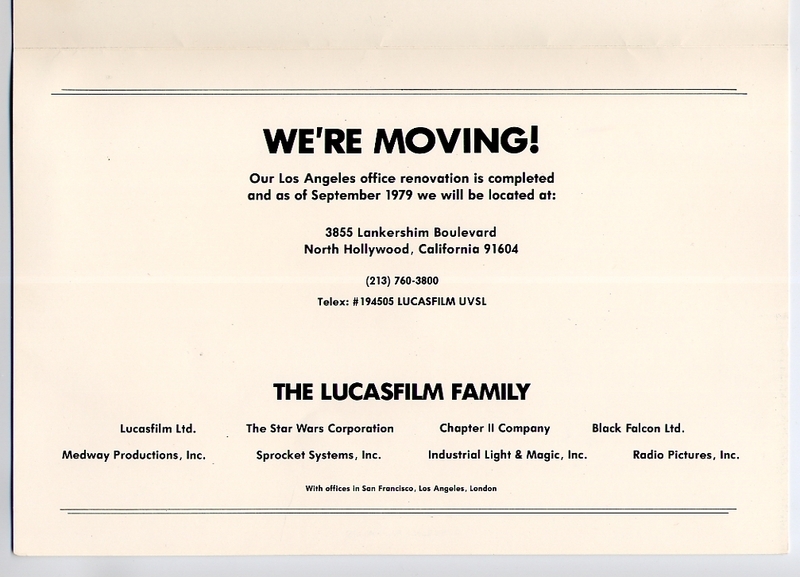 This one is a notification of the company's first move after the release of Star Wars in 1979, to renovated offices in North Hollywood. 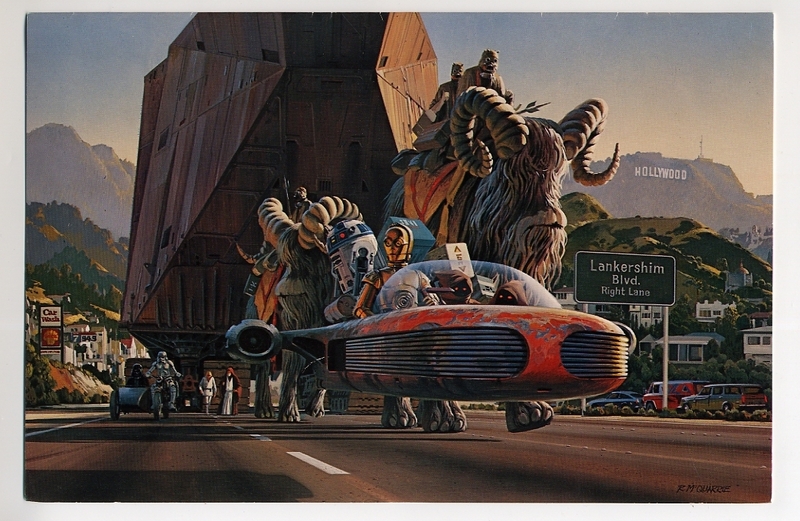 The artwork on this thing, rendered by famous Star Wars conceptual artist Ralph McQuarrie, is just awesome. The parade down Lankershim Boulevard really communicates the massive haul that moving the "Lucasfilm Family" must have entailed. And I just love the touch of putting Darth Vader in the motorcycle side car! 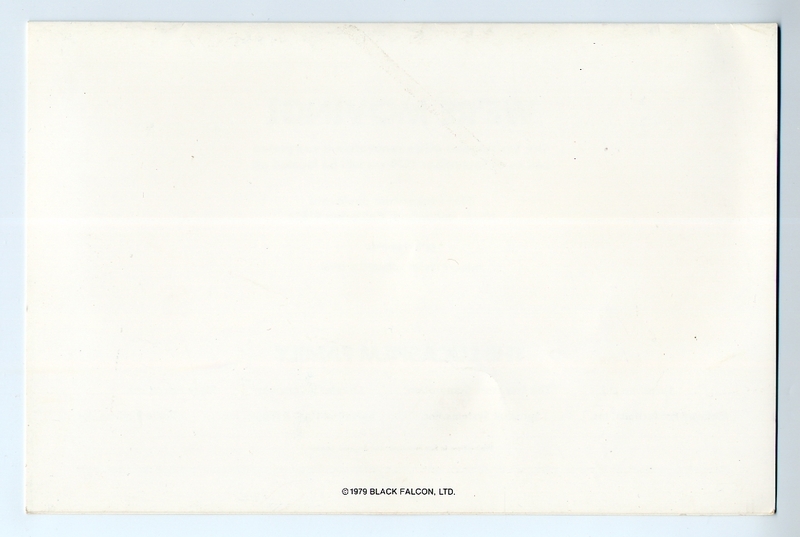 The interior of the card makes mention of the various companies that fell under the LFL banner and gives the location of the then-new headquarters.